Take the first step and schedule a free consultation with us to discuss the creation of your dream kitchen. We come out to your home and talk about how your current kitchen does and does not work for you, material ideas, scope of work, etc. This first meeting will take anywhere from half an hour up to 2 or 3 hours, depending on your space and ideas. We will take preliminary measurements and get to work on a comprehensive proposal for your new kitchen. 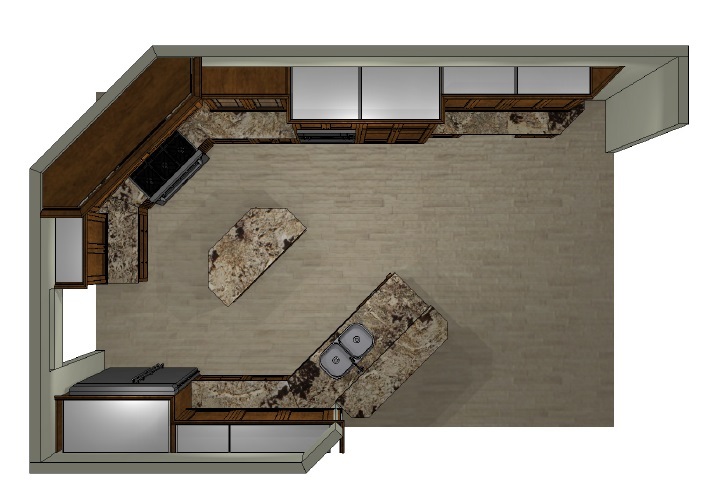 We will design a preliminary layout for your kitchen and create 3D elevations. We base our initial proposal and design on the elements discussed at our first meeting. When you choose to move forward with your new kitchen, we revise your design until we create the ultimate layout for you. We work with you to revise our initial design and proposal. This can take anywhere from 1 week to several months, we are with you every step of the way to the kitchen of your dreams!